"Her professionalism is of the highest order..."
"What a great role model for my girls...this was really neat for them." "...opened our eyes to a new level of dance." Sullivan has been teaching on the East Coast since 2008 and began teaching internationally in 2013. She frequently works with The Juilliard-Nord Anglia Performing Arts Program as a teaching artist and guest speaker/performer. Sullivan joined the faculty of Dance for PD® and Together in Dance in early 2017 after touring Southeast Asia (Laos, Indonesia, The Philippines) with Dance Heginbotham through DanceMotion USA (Bureau of Educational and Cultural Affairs of the US Department of State, produced by Brooklyn Academy of Music). While abroad, she gained experience teaching classes for students with mixed abilities (due to blindness, deafness, Down syndrome, Parkinson's disease, and/or missing limbs). In addition to teaching, Sullivan helped develop Education in Motion (Cayman Arts Festival/The Juilliard School), Middle School Boot Camp (New York City Department of Education/Lincoln Center Education), and Lincoln Center Kids! (Lincoln Center Education/The Juilliard School). She is a two-time recipient of the Goldman Arts Enrichment Teaching Fellowship in partnership with Harlem School of the Arts and has additionally enjoyed teaching through volunteer organizations such as Artists Striving to End Poverty and The New Orleans Project. Many thanks to The School of Oregon Ballet Theatre for the first opportunity to dive into this line of work. Anatomical technique is at the core of Sullivan's teaching. 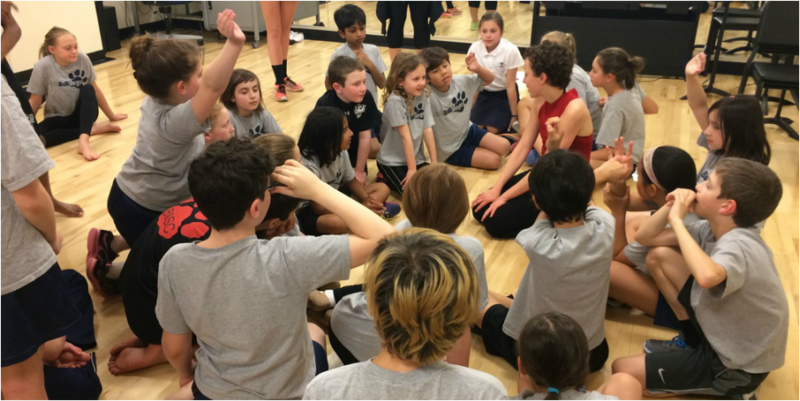 Working with students to improve stability, flexibility, and coordination, she emphasizes the use of movement for artistic expression in class, performance, and long-term endeavors. Infused in her teaching is the importance of musicality, work ethic, and most importantly, PASSION! Sullivan strives to make her students their own teachers by challenging them to answer questions, ask questions, and investigate. She has a knack for coaching storytelling in dance.